would love these. And thanks for making Fridays more fun! This is such a great collection. I would love to own these. Thank you for all that you do to offer your weekly giveaways. Love the selection this week! I love vintage books. They are so refreshing to my reading pallet. Thanks so much for doing this each week. I love to see the cool things you find in books. What a treasure of memories you have discovered. These look so sweet! PICK ME! These are too awesome! Fingers crossed!!!! Please count me in the give away! Thanks! Oh my! Please definitely count me in for this giveaway! I only enter the ones where I really, really want the books you're offering. And this time, I really, really want those books. Fabulous! I'd love to have these, too. What a beautiful selection! Thanks so much for the chance to enter! these books! Very cool of you to share them with someone else who will enjoy them! My granddaughters would just love these. I'm sure they would read and re-read then for a long time. Thank you for the opportunity and the wonderful memories of these books. Oh my goodness. I can smell the old books already. It reminds me of being a little girl and sitting under my mom's desk at the library, coloring pictures, while she worked. Nothing takes me back to my childhood like that beautiful smell of paper and ink. Fingers crossed! These are especially lovely! Please put my name in the hat! I would love to win these--such beautiful covers! Oh, I would love these! What a wonderful selection! These would be such an addition to any bookshelf. I'd love these. I concur with the above comments - amazing, beautiful, lovely... I will keep my fingers crossed! They sure don't make books like they used to! I would love these beauties. Wow! I can't believe you're giving away this great of a collection of books! This is the kind of collection that I'd look to purchase. Thank you for this opportunity to win them! Want, want, want! 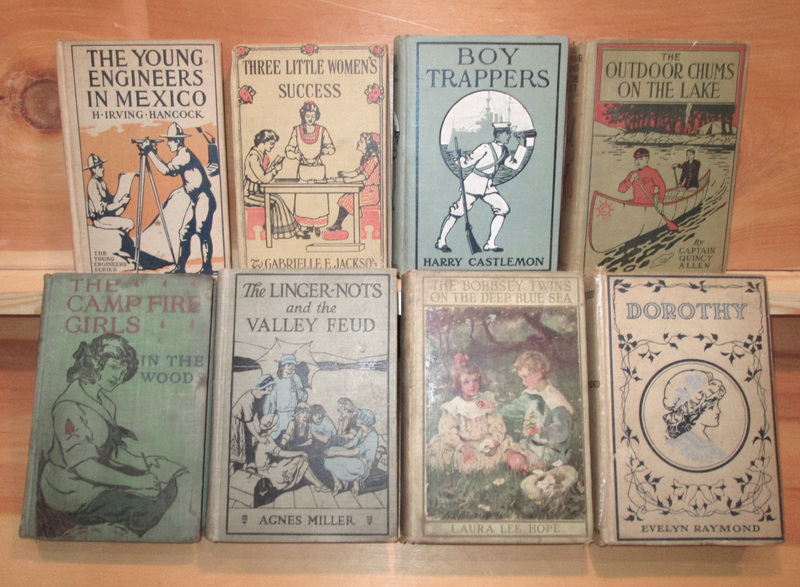 I adore these old children's books! I would love these for my granddaughter! 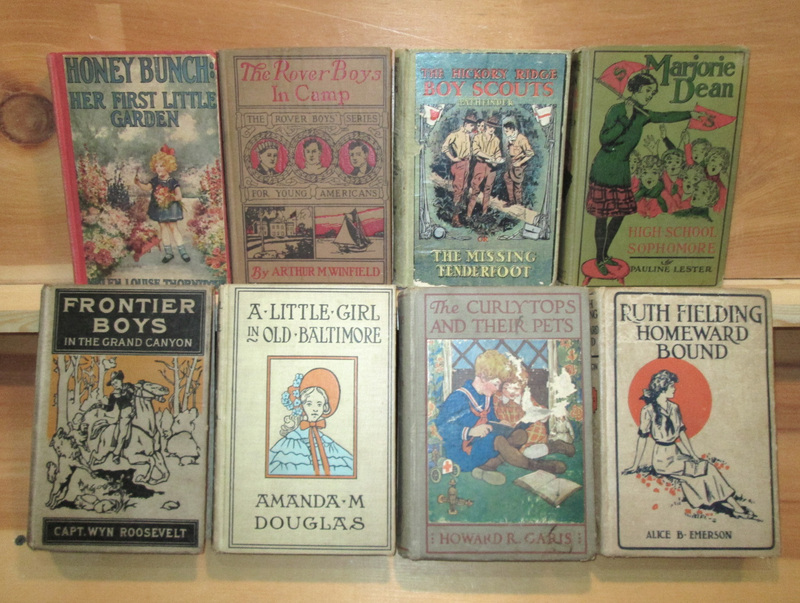 These are amazing books I would like to introduce to my granddaughter. I remember opening books like these, inhaling their beautiful scent and knowing I was about to travel to go on a new adventure. Wonderful memories. Thank you. I would love these. I finally am living in a house with my own library and these would be a wonderful addition. Timeless. Would love to have them. Lovely. Thanks for the giveaway. Stumbled onto your site this morning. Love it. I feel better now, knowing I am not the only one who gets excited about these kinds of books. Speaking of finding things in old books, I picked up an old book from 1901 and tucked in the middle of the pages was an old yellow piece of letter paper, folded into fours. Inside there was a four leaf clover! How cool is THAT? Entered on Facebook as well, thank yoU!